Gerald (Gerry) Dean Dyson, 84, passed away peacefully March 16, 2014, at St Luke’s hospital in Twin Falls, Idaho, from congestive heart failure. Gerry was born Jan. 25, 1930, in Pocatello, Idaho, to Dean and Thelma (Duncan) Dyson. The depression years were a difficult time for the Dyson family and they moved to the Boise area in 1932. The first winter was spent living in a tent when Dean found work with the Civilian Conservation Corps. 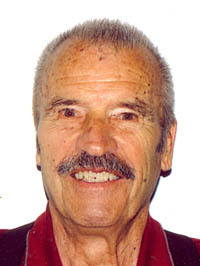 Gerry graduated from Franklin High School in Boise in 1948. He enlisted in the Army and was stationed at Fort Lewis in Washington state during the Korean War. After the service, Gerry worked with his father in the Dyson’s truck and equipment business in Boise. He met Geraldine Bouchard on a blind date and they were married in Boise on March 15, 1957. Gerry and Geraldine moved to Jerome, Idaho, and with the help of Gerry’s father, Dean, they opened the first Dyson NAPA Auto Parts store in 1957. This began the Dyson NAPA legacy, which their son, Bob, of Twin Falls, carries on to this day. After time spent in Jerome (where their three children were born), the Dysons moved to Salt Lake City, Utah, where Gerry took a salesman job with the Eimco Corp. In 1972, the Dysons moved to Hailey, Idaho, where they opened the next NAPA Auto Parts store in Ketchum. Gerry retired in 1992 and officially handed the reins of the NAPA stores (which now included a third and fourth store in Twin Falls and Buhl) over to Bob. Gerry had many passions throughout his life, from hunting and fishing, to water skiing (once setting a distance record for skiing 50-plus miles down the river), golfing, camping and snowmobiling. One of his later passions was motorcycling. He spent 30 years traveling on his bike to all corners of the United States (including Alaska) with his wife riding behind him and his friends at his side. Along with motorcycling, the Dysons also spent their retirement years traveling in the U.S. and Mexico in their RV. Gerry loved spending time with his family, his grandchildren and his friends everywhere, and arguing politics if he could corner you! Gerry was one of those guys, tough on the outside and a big softie on the inside. He truly adored his children and felt they were his biggest accomplishment. He was our John Wayne. Gerry was preceded in death by his parents and his wife, Geraldine. He is survived by his son, Bob Dyson, and his wife, Patty, of Twin Falls; his daughter Lori (Shaw) and her husband Mark of Coeur d’Alene; his daughter Lisa (Greene) and her husband Don of Seattle, Wash.; his seven grandchildren, Elizabeth, William, Matt, Jake, Danny, John and Katherine; his four (soon to be five) great-grandchildren, Caleb, Alexys, Jeremy, and Maggie; and his sister, Pat (Doty), and her husband Ben. Gerry’s life will be celebrated as a funeral service at 10 a.m. Friday, March 21, 2014, at Reynolds Funeral Chapel, 2466 Addison Ave. East, in Twin Falls, Idaho. Burial will follow at 2 p.m. Friday at the Hailey Cemetery. Viewing will take place on Friday at Reynolds Funeral Chapel from 9-10 a.m. In lieu of flowers, donations can be made to the Pregnancy Crisis Center and may be given to funeral chapel staff. Funeral arrangements are under the direction of Trent Stimpson and staff at Reynolds Funeral Chapel. Messages of support can be left at www.reynoldschapel.com.